Ever wanted to visit a Restaurant to Another World? Well too bad. This restaurant is to our world. But that's good news for the denizens of the other world, they get to experience the curiosities of 21st century cuisine every Day of Satur. 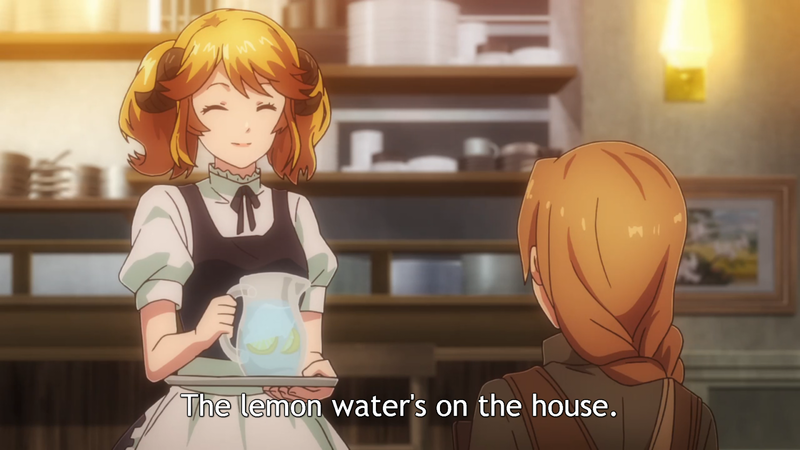 The fantasy creatures of the other world dine on wonders such as ice cream, chicken curry, and ice water (with lemon). Watch each episode every week as lizards, wizards, and elves marvel over air conditioning, refrigerators, and ice cubes. Amazing! In Action Heroine Cheer Fruits, Kotori Minami (from Love Live! fame) moves to the countryside after the excitement of being a school idol comes to an end. There, she and her family become field laborers harvesting fruits for wealthy land-owners. 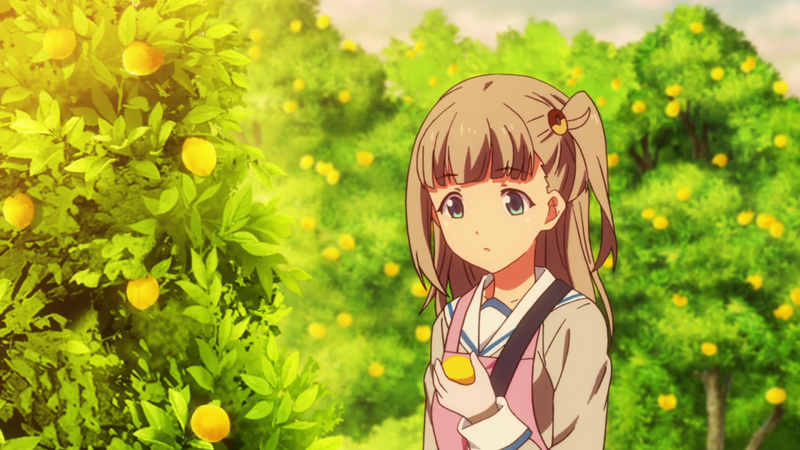 In the picture above, Kotori exams a freshly picked lemon as she ruminates over the efforts of her travails and ponders if this life can ever be considered satisfying. She eventually accepts her life and meets a nice boy named Juan who she agrees to wed.